Breen used the term “colored boy” in reference to Martin, and though the main message in her response was well intentioned and in support of prosecuting the offender George Zimmerman, her word choice was as poorly thought out as our decision to print her response. That said, we recognize that the term is outdated and deeply offensive, and it was never our motivation to have such a negative impact on the Laker community. The connotations associated with the term are not views that are held by the Lanthorn staff, and our publication of the word was not an endorsement thereof. Our intention was not to offend, and we hope that despite the lapse in judgment in publishing Breen’s response, the editorial that was published in the Op/Ed section of Monday’s issue stands as a testament to our desire to be both racially inclusive and aware of the actions people take that deter from that inclusiveness — including our own. We apologize to students, staff and faculty at GVSU, and accept full responsibility for our failure to scrutinize the impact of Breen’s words more critically before publication. Each staff member at the Lanthorn is here because we care about this university, and we care about the students that learn within its walls — we want to do right by you, and that is why we write, why we face adversity and why we felt the need to address this issue head-on. 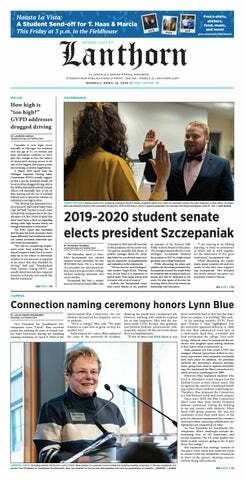 We thank you for your readership and your response, and we hope the student body will continue to pick up the Lanthorn and read the stories written by staff members that work hard to be honest, balanced and helpful. We will remain faithful to our belief that every student at GVSU deserves to have a place where they can speak freely. However, moving forward, we know we must be more mindful in our process in a whole-hearted effort to ensure that offensive material does not have a place within our pages.